A diverse energy portfolio ensures that millions of American families and businesses have access to affordable, reliable energy for generations to come. Nuclear energy is a crucial component of that diverse U.S. energy portfolio. The price stability and baseload strength of nuclear generated electricity helps to insulate Americans against fluctuating electricity prices.1Nuclear Energy Institute, “Cost & Benefit Analyses,” https://www.nei.org/Issues-Policy/Economics/Cost-Benefits-Analyses. Thanks to diverse sources of energy, including nuclear, American families pay an average of 10 cents per kilowatt-hour, compared to countries without nuclear, such as Germany, that pay almost 30 cents per kilowatt-hour.2Eurostat, “Electricity Price Statistics,” November 2016, http://ec.europa.eu/eurostat/statisticsexplained/index.php/Electricity_price_statistics. Nuclear power is a clean and safe energy source that accounts for 20 percent of U.S. electricity generation.3U.S. Energy Information Administration, “What is U.S. electricity generation by energy source?,” 2015, https://www.eia.gov/tools/faqs/faq.cfm?id=427&t=3. Currently, there are 99 operable commercial reactors at 61 power plants across the U.S.4U.S. Department of Energy, Energy Information Administration, “How many nuclear power plants are in the U.S. and where are they located?” http://www.eia.gov/tools/faqs/faq.cfm?id=207&t=21. generating around 797 billion kilowatt-hours per year.5Nuclear Energy Institute, “General U.S. Nuclear Info,” 2015, https://www.nei.org/Knowledge-Center/Nuclear-Statistics/US-Nuclear-Power-Plants. Nuclear energy also plays a critical role in the nation’s diversification across energy sources. Nuclear energy is by far America’s largest (and only reliable baseline) source of clean energy, producing no carbon dioxide or air pollutants, and its waste is highly regulated and contained.6U.S. Energy Information Administration, “Nuclear Power and the Environment,” http://www.eia.gov/energyexplained/index.cfm/data/index.cfm?page=nuclear_environment. Nuclear has played a key role in reducing carbon emissions by helping to reduce emissions from the electric power sector by 30% between 2008 and 2016.7See U.S. Energy Information Administration, “Power sector carbon dioxide emission fall below transportation sector emissions,” Jan. 19, 2017, https://www.eia.gov/todayinenergy/detail.php?id=29612. In 2015, nuclear power plants prevented 564 million metric tons of carbon dioxide emissions, equal to the amount of carbon dioxide emissions from 135 million cars.8Nuclear Energy Institute, “Fact Sheets: Clean Air Energy,” https://www.nei.org/Prints?printpath=/Master-Document-Folder/Backgrounders/Fact-Sheets/Clean-Air&classname=custom.document&pNm=FactSheets. This emissions reduction would be even more dramatic if more nuclear facilities were built. Additionally, nuclear is the only clean energy source currently capable of efficiently meeting the energy demands of millions of Americans.9Bary W. Brook et al., “Why nuclear energy is sustainable and has to be part of the energy mix,” December 2014, http://ac.els-cdn.com/S2214993714000050/1-s2.0-S2214993714000050-main.pdf?_tid=f7b8a4fa-1e1c-11e7-94a1-00000aacb362&acdnat=1491849722_02f60e1908802d598b3392626fc58bfb. While a nuclear facility requires just over one square mile to generate 1,000-megawatts, other energy sources would need much more territory to generate the same amount of power. Finally, the nuclear energy industry stimulates economic growth that can positively impact millions of Americans both directly and indirectly. Studies show that the industry provides more than 100,000 jobs and contributes $393 million annually to the national economy.10Nuclear Energy Institute, “Cost & Benefit Analyses,” https://www.nei.org/Issues-Policy/Economics/Cost-Benefits-Analyses. At the state and local levels, each nuclear plant generates almost $16 million in tax revenue annually.11Ibid. These tax dollars benefit schools, roads, and other state and local infrastructure.12Ibid. Download the CEA one-pager on Nuclear Energy. 1. ↑ Nuclear Energy Institute, “Cost & Benefit Analyses,” https://www.nei.org/Issues-Policy/Economics/Cost-Benefits-Analyses. 2. ↑ Eurostat, “Electricity Price Statistics,” November 2016, http://ec.europa.eu/eurostat/statisticsexplained/index.php/Electricity_price_statistics. 3. ↑ U.S. Energy Information Administration, “What is U.S. electricity generation by energy source?,” 2015, https://www.eia.gov/tools/faqs/faq.cfm?id=427&t=3. 4. ↑ U.S. Department of Energy, Energy Information Administration, “How many nuclear power plants are in the U.S. and where are they located?” http://www.eia.gov/tools/faqs/faq.cfm?id=207&t=21. 5. ↑ Nuclear Energy Institute, “General U.S. Nuclear Info,” 2015, https://www.nei.org/Knowledge-Center/Nuclear-Statistics/US-Nuclear-Power-Plants. 6. ↑ U.S. Energy Information Administration, “Nuclear Power and the Environment,” http://www.eia.gov/energyexplained/index.cfm/data/index.cfm?page=nuclear_environment. 7. ↑ See U.S. Energy Information Administration, “Power sector carbon dioxide emission fall below transportation sector emissions,” Jan. 19, 2017, https://www.eia.gov/todayinenergy/detail.php?id=29612. 8. 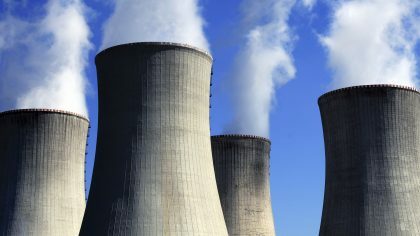 ↑ Nuclear Energy Institute, “Fact Sheets: Clean Air Energy,” https://www.nei.org/Prints?printpath=/Master-Document-Folder/Backgrounders/Fact-Sheets/Clean-Air&classname=custom.document&pNm=FactSheets. 9. ↑ Bary W. Brook et al., “Why nuclear energy is sustainable and has to be part of the energy mix,” December 2014, http://ac.els-cdn.com/S2214993714000050/1-s2.0-S2214993714000050-main.pdf?_tid=f7b8a4fa-1e1c-11e7-94a1-00000aacb362&acdnat=1491849722_02f60e1908802d598b3392626fc58bfb. 10. 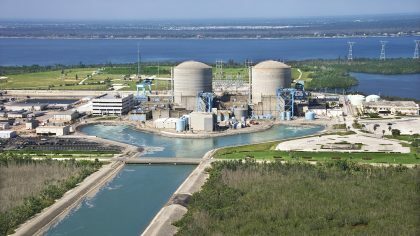 ↑ Nuclear Energy Institute, “Cost & Benefit Analyses,” https://www.nei.org/Issues-Policy/Economics/Cost-Benefits-Analyses.